We offer an elegant assortment of Women’s Zipper Hoodies that is designed using the finest quality fabrics and advanced technology. Offered array is available with full front zipper and single-ply hood with matching draw cord. Provided range is designed by our adroit professionals according to the diverse requirements of our clients. Offered products are acclaimed by our valued clients for their brilliant features. 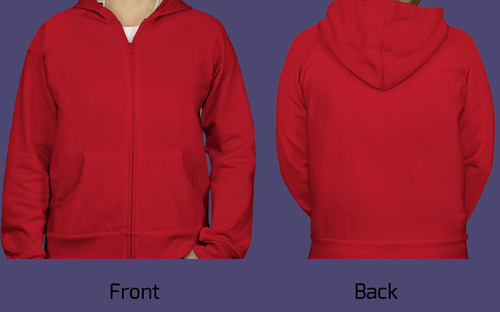 It has a comfortable fleece interior and a custom fit to contour the body. It has a 2 3/4" ribbed cuffs and bottom waistband. The fabric is made from pure French Terry/Loop Knit cotton and has a weight of 240 grams. Item runs small and it is recommended to pay special attention to the sizing chart prior to ordering.